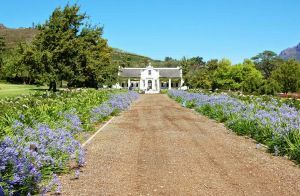 Based on the L’Ormarins estate in Franschoek the Anthonij Rupert estate is fast becoming one of the most impressive and innovative wineries in South Africa. Fruit comes from four vineyard properties in Franschoek itself, Elandskloof, Riebeeksrivier and Darling. Johan Rupert has built one of the most driven and talented teams in the industry and the result is a suitable memorial to Johan’s late brother Anthonij. The Protea range offers varietal wines primarily sourced from younger vines planted across the estates four vineyard sites. The Cape of Good Hope range is perhaps one of South Africa’s most innovative. Mr Rupert has been at the forefront of a project to save South Africa’s historic vineyards through collaboration with the vineyard owners who are paid a premium to preserve these old, low yielding vines. The Van Lill & Visser Chenin and Basson Pinotage are named after these growers and are genuinely some of the most exciting wines in the portfolio. Altima is sourced from some of South Africa’s highest and coolest vineyards and look out for two new Rhone blends sourced from a farm in Riebeeksrivier in the Swartland. We also carry the Anthoniij Rupert classic range a genuinely outstanding sparkling wine, the brilliant Optima (a Bordeaux blend) and single varietal reds made from the traditional Bordeaux grape varieties.